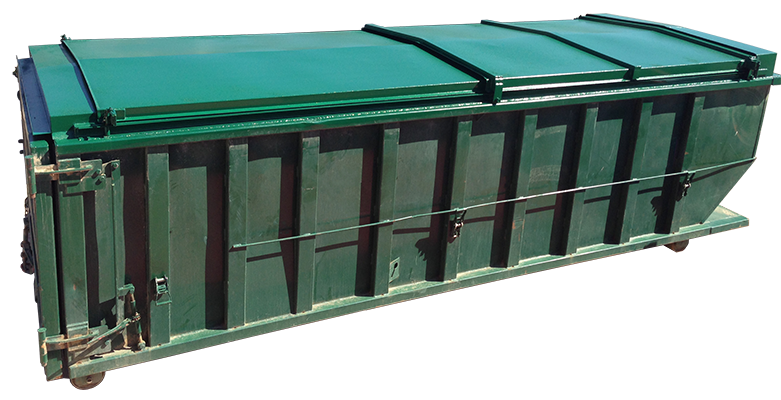 CCS has developed a simple way for customers to access 50% of a dumpster at one time while ensuring that rain stays out of the container and the materials inside are safe from theft. The sliding roof system can be customized to fit a dumpster of any size and can be permanent or removable. The sliding roof is made of light gauge steel and can be opened and closed by one person because of the eight heavy duty roller bearings that allow each side to roll over or under the other, creating the access the customer desires.